Whether you’re purchasing your Red Oval certified truck through a Peterbilt dealership or from a PACCAR Financial Used Truck Center, you may be eligible for special financing and incentives. 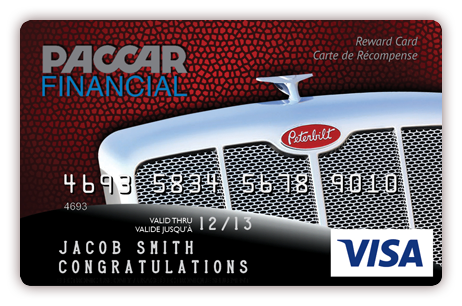 First-time buyers who finance through PACCAR Financial receive a $1,000 gift card. Ask your Peterbilt dealer sales representative for more information on financing through PACCAR Financial or visit here for a free online quote. Peterbilt and PFC will periodically introduce new financing specials, so check back often.